Anime blogging can be pretty serious business, as you probably understand. There are a lot of things which you need to consider, such as authenticity with respect to the anime that you wish to write about, as well as a concern for whether your blog does justice to the anime itself. You also have to take into account issues of design, color, and many more. 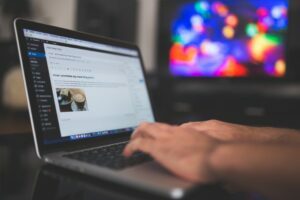 In response to these considerations, you also have to ask yourself if you’re really inspired enough to be able to maintain your blog with the same passion as when you first started writing it. Of course, much similar to love, your feelings for your blog are likely to die down, especially if you don’t water them regularly with sources of inspiration. There are a few ways which you can employ in order to keep yourself inspired. The first thing you can do is, while watching your favorite anime (for the nth time, that is), keep yourself on the lookout for your favorite scenes and dialogues, and write these down on a journal or notebook. Once you go back to them in the time that you write for your blog again, you’ll have some easy source of immediate inspiration. A second tip you might like to try is to accept manga or anime blog writing challenges. This is similar to a series of writing prompts, all of which will help you to get the right fuel in writing your blog. You can try the 30-day writing challenge for your anime blog, and see how it will work wonders for your writing process. Third tip is to write about a specific topic. Do you like that last kiss from that anime love story you just watched? Describe it in full detail. Did you cry over the death of your favorite character which totally and absolutely took you by surprise? Write about the pain, and be as vivid in your descriptions as possible. Blogging about anime really takes a lot of patience and dedication. It is for those who are committed enough to do it. “Videos never load. Really all there is to it. We had been using anime but rabbit has put a block of some sort on it. We use gogo because of these problems. Meghan was discovered while modelling for product launchings. She is currently taking up Masters in Advertising for in-depth knowledge that is advantageous for promotional gigs.